A delectable memoir about the transformative power of food, Blue Plate Special is a deeply personal narrative in which food becomes the vehicle for exploring a life. Here, novelist Kate Christensen tells her own story, from her unorthodox childhood in 1960s Berkeley as the daughter of a legal activist who ruled the house with his fists to her extraordinary success as a PEN/Faulkner Award-winning author. Hungry not just for food, but for love and a sense of belonging, Christensen writes honestly about her struggle to find the contentment she has always yearned for. 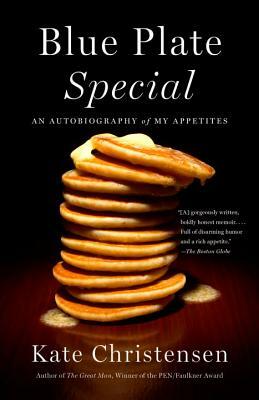 A beautifully written account of a knockabout life, full of sorrows, pleasures—and, of course, food—Blue Plate Special is a delicious reading experience.